For comprehensive technical information, click the "downloads" tab below, or consult our detailed PTFE technical information guide. ©2001-2019 Gilbert Curry Industrial Plastics Co Ltd. The entire contents of this site are protected by Copyright. All rights reserved. Images used on the site are for the purpose of representation only. By using this website you agree to the Terms & Conditions of Sale and our Privacy & Cookies Policy. 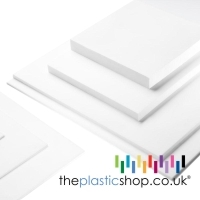 theplasticshop.co.uk is a registered trademark and trading name of Gilbert Curry Industrial Plastics Co Ltd.